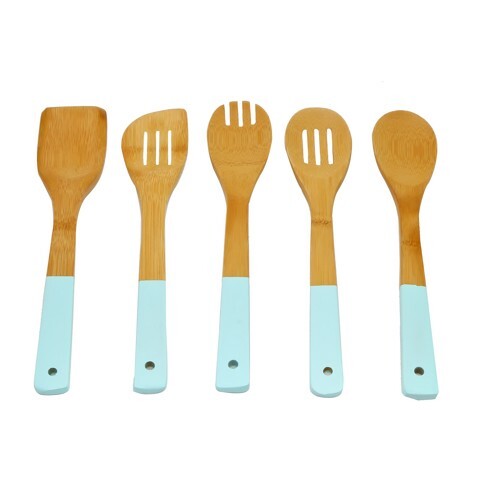 Utensils Bamboo Col Handle 5Pc. Approx 30cm length. 3 Asst Handle Colours: Blue l Pink l White. Bamboo. 225G Packaging: Net Bag with Header Card.